Your Guide to Downtown San Francisco - Get on Board! It’s the cultural heart of Northern California that’s been romanticized in countless movies, books, and songs. 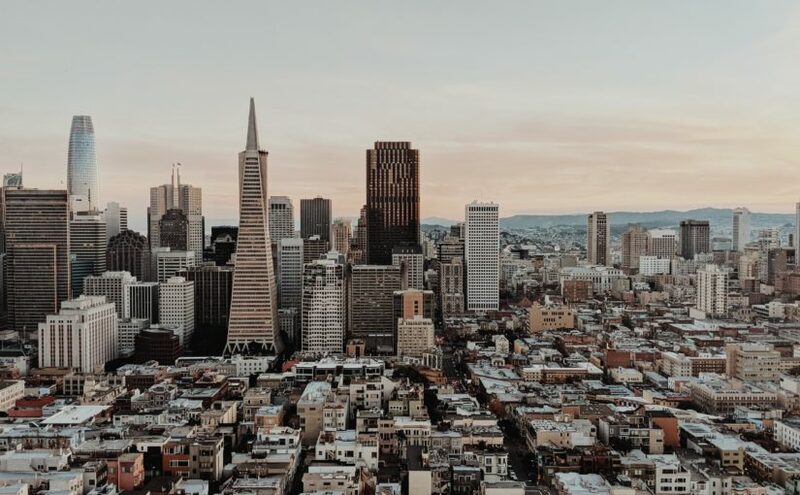 Despite all the descriptive nicknames, San Francisco is best known as “The City” by those in the San Francisco Bay Area who live amidst its world-class allure. International visitors brandish their passports to experience the multitude of vibrant neighborhoods spanning a wild coastline to the bridge-linked Bay, and Downtown San Francisco serves as the must-see anchoring point on every tour itinerary. 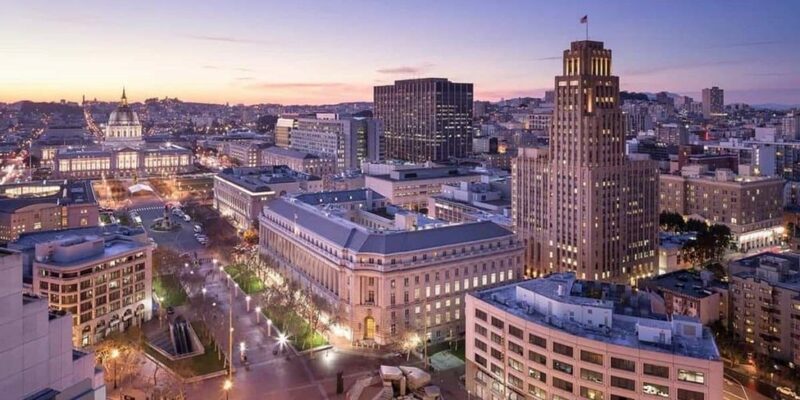 For those in Northern California, the Capitol Corridor and Bay Area Rapid Transit (BART) make Downtown San Francisco a convenient day trip without the hassles of traffic and parking or the need to make additional transit connections or fare payments. You can take the train to the Emeryville Station and connect to the Capitol Corridor’s dedicated bus service to the Transbay Temporary Terminal located at Main and Beale streets. An alternative that offers a bit more flexibility and more direct downtown access is to take the train to either the Richmond Station or Oakland Coliseum Station and transfer to BART which provides frequent service to a number of stations along San Francisco’s bustling artery, Market Street. Once you’ve arrived in Downtown San Francisco, the plethora of exploration within easy walking distance is a traveler’s dream realized. Here are some famed scene-stealers amidst the array of options. Be forewarned: One Capitol Corridor trip to SF will likely lead to more, and it may become part of your new routine. 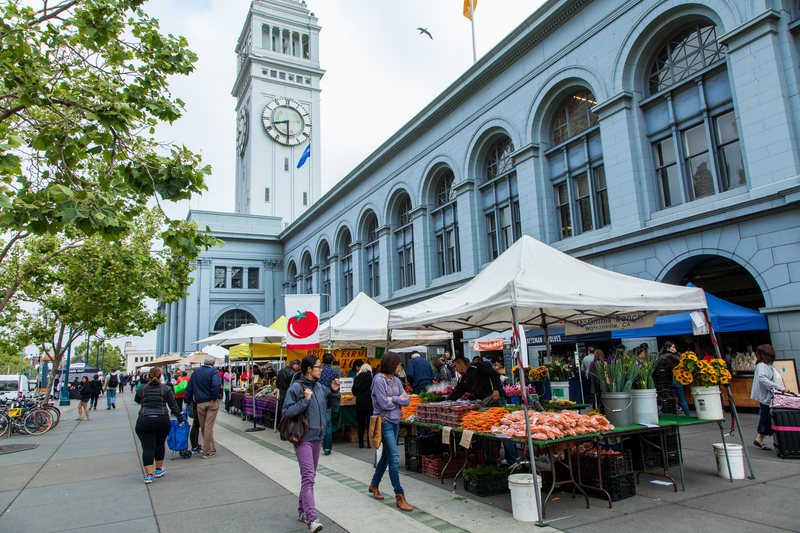 Just a 5-minute walk from the Embarcadero BART Station and half a mile from the Transbay Temporary Terminal bus stop, the Ferry Building Marketplace looms beautifully with its signature clocktower where the water meets Market Street. Inside its arched entryway, you’ll discover a wide variety of restaurants and artisanal shops. A long-time favorite of locals and tourists alike, The Slanted Door is famous for its fusion Vietnamese fare, cocktails, and illustrious waterfront scenes. Hog Island Oyster Co. is another headline-maker, touting local and sustainably raised shellfish along with a view of the Bay Bridge. The Ferry Building’s pride and joy? The Ferry Plaza Farmers Market on Tuesdays, Thursdays, and Saturdays. With the latter day of the week unfolding its largest outdoor spread of tented stands selling organic produce, flowers, foods, and more, the Farmers Market is a delight to foodies, shoppers, and photographers. This is the museum everyone in SF is talking about. 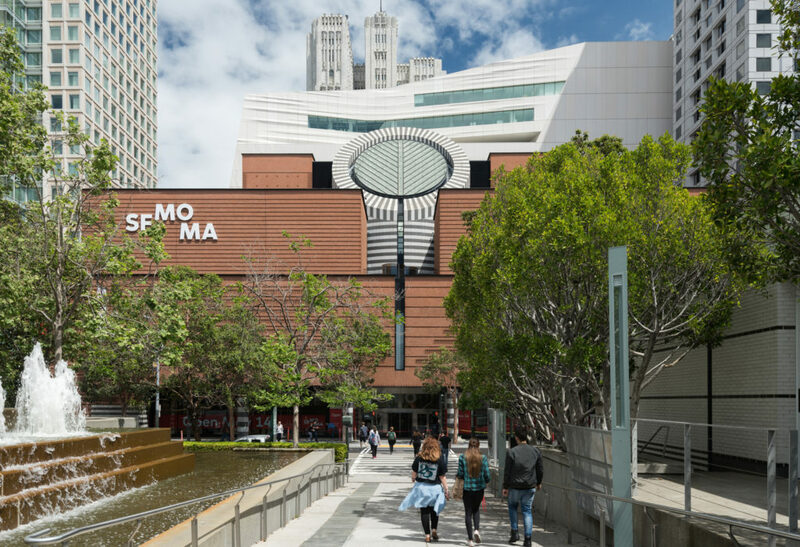 Seven minutes from Montgomery BART and 12 minutes from the Transbay Temporary Terminal, SFMOMA reopened in 2016 after a three-year closure that saw it expand with a 10-story addition; it transformed into a cutting-edge architectural feat reflective of its awe-inspiring exhibits. You can spend your entire day investigating the immersive installations, vast sculptures, terraces, living wall, and amphitheatre, and still want more time. Don’t worry, the museum is also home to eateries to satiate any hunger pains so you don’t have to leave: Sightglass is on the third floor with coffee and snacks; In Situ is the Michelin-rated dining experience featuring high-end international flavors on the ground floor; and Cafe 5 serves affordable lunch salads and sandwiches on none other, the fifth floor. Across from SFMOMA, Yerba Buena Gardens yields its own pristine layout of dining, shopping, art, and cultural events perched along two blocks between Mission and Howard streets. 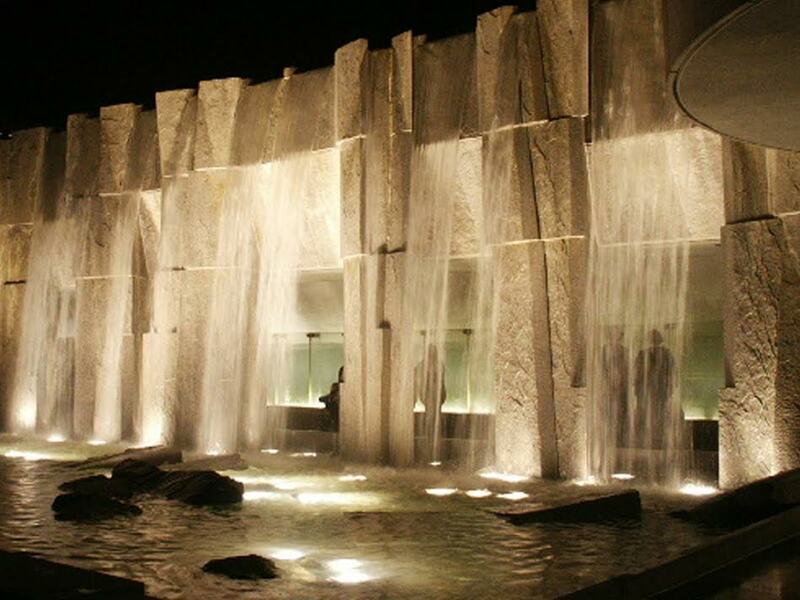 A standout sight in the middle of the five-acre esplanade of landscaped park space is the Martin Luther King, Jr. Memorial waterfall and glass panel installation. The Metreon Shopping Center with IMAX Theatre borders the gardens for indoor time, while The Children’s Creativity Museum houses innovative art and tech exhibits that will keep the kids enthralled. (Don’t forget to let them take a spin on the historic Leroy King Carousel!) Myriad dining options dot this parcel of Downtown SF: Try Tropisueno’s Mexican cuisine, Amber India’s contemporary Indian feasts, bar bites, and craft cocktails, or Samovar Tea Lounge’s classy menu of teas and Asian-inspired meals on the Yerba Buena Gardens upper terrace overlooking the gardens and waterfall. Just under half a mile from both the Montgomery Street and Powell Street BART stations (and one mile from the Transbay Temporary Terminal) is San Francisco’s shopping paradise, Union Square. 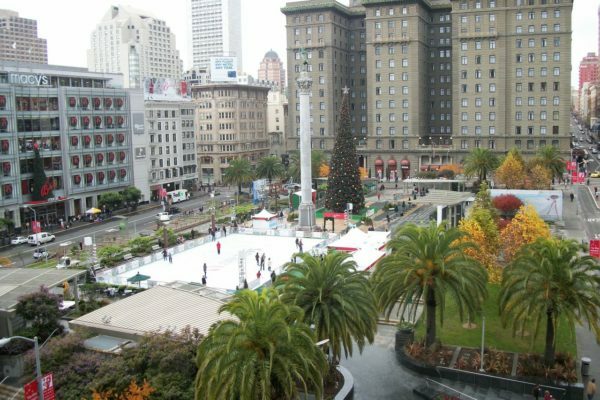 Union Square is the teeming 2.5-acre plaza at the center of Downtown SF’s hub of high-end department stores, boutiques, restaurants, and hotels. The square is bordered by Powell, Post, Stockton, and Geary streets (with a cable car turnaround on Powell!) and offers an open-air gathering point amidst the surrounding businesses. Enjoy outdoor eating and drinks on the plaza at Emporio Rulli’s Italian cafe eatery, where you can slowly sip espresso or wine in the shadow of Saks Fifth Avenue, Macy’s, and neighboring skyscrapers. After the shopping is done, entertainment awaits at Union Square’s esteemed stages of The Curran or the American Conservatory Theater, where live performances of renowned plotlines unfold. Full-belly feasts and nightcaps can be found at Hops & Hominy, the beloved Union Square restaurant and bar bustling with decadent Southern food, cocktails, and microbrews in a rustic space one block from the square. San Francisco’s Civic Center neighborhood sits right outside the Civic Center/UN Plaza BART Station between Market and Turk streets. While San Francisco City Hall is at the heart of it, Civic Center also attracts visitors in search of entertainment heavyweights. Bill Graham Civic Auditorium is one of SF’s biggest (and oldest) concert venues, with a calendar of famous acts filling its calendar. Also around the corner from the BART station, the Asian Art Museum presents one of the largest and most prominent Asian art collections with daily free tours of its permanent exhibits. Both opera and ballet enthusiasts will be comfortable in the red seats at the War Memorial Opera House, a gorgeous neoclassical theatre perched behind City Hall. Its luminous setting is the home stage for both the San Francisco Opera and the San Francisco Ballet. A complimentary SF Ballet Chariot shuttle picks up from the Civic Center/Union Plaza BART Station to the opera house for all Repertory performances. A new addition to SF’s renowned music scene is SF JAZZ Center’s innovative stages and dynamic programming located between Civic Center and Hayes Valley’s boutique shopping. Just a half mile from Civic Center/Union Plaza BART, Hayes Valley is a charming hub of shopping and eateries. Hip purveyors of local designers, upscale shoe stores, and trendy fare awaits in a quaint walkable area. Try Souvla’s casual but delicious Greek food that has locals lining out the door, Little Gem’s California farm-fresh ingredients in an easy indoor and outdoor setting, or Absinthe Brasserie & Bar’s high-end French and Italian-inspired ambiance and menu. Next Next post: Enter to Win School of Rock Tickets!